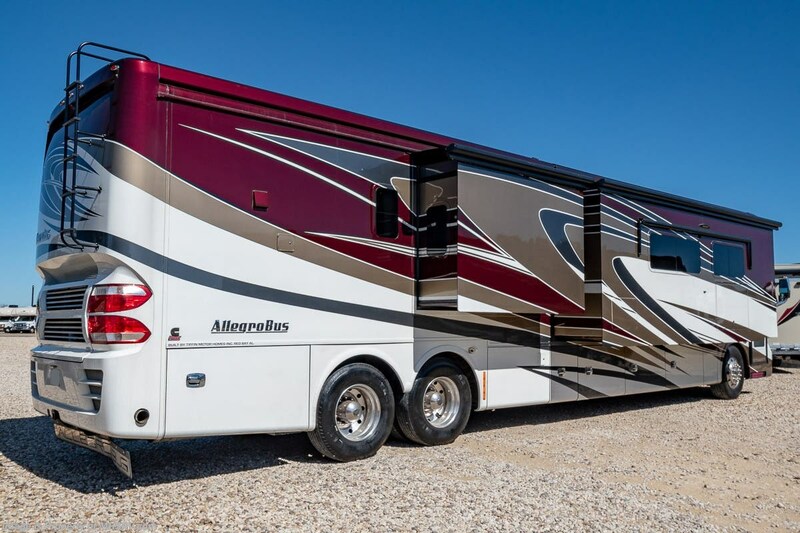 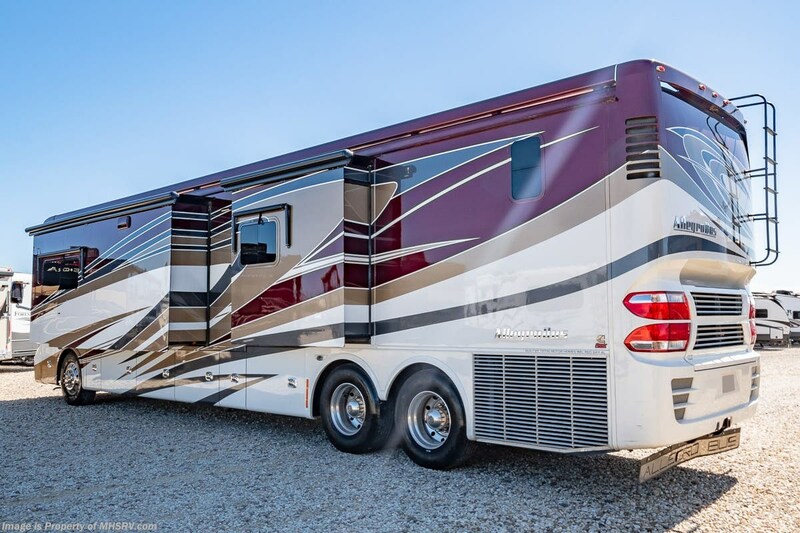 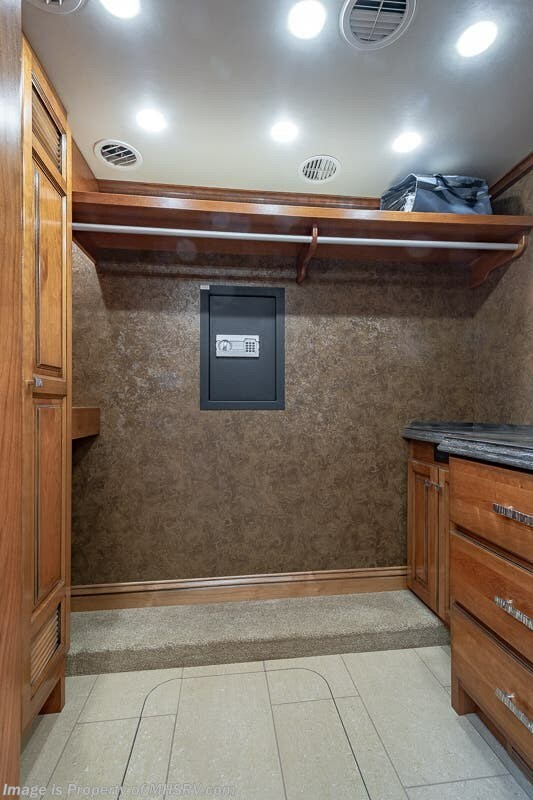 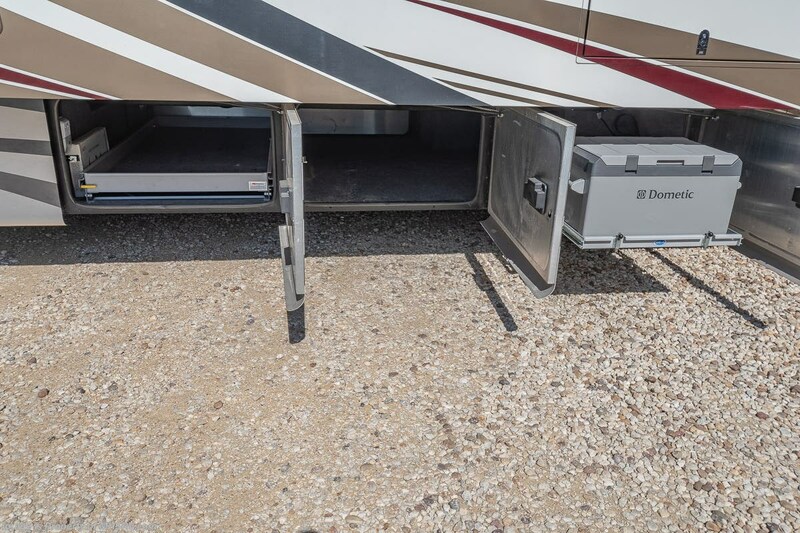 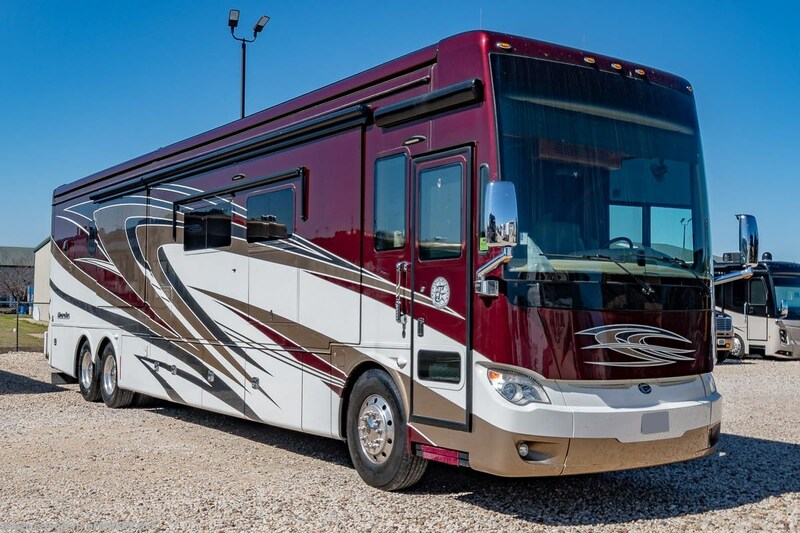 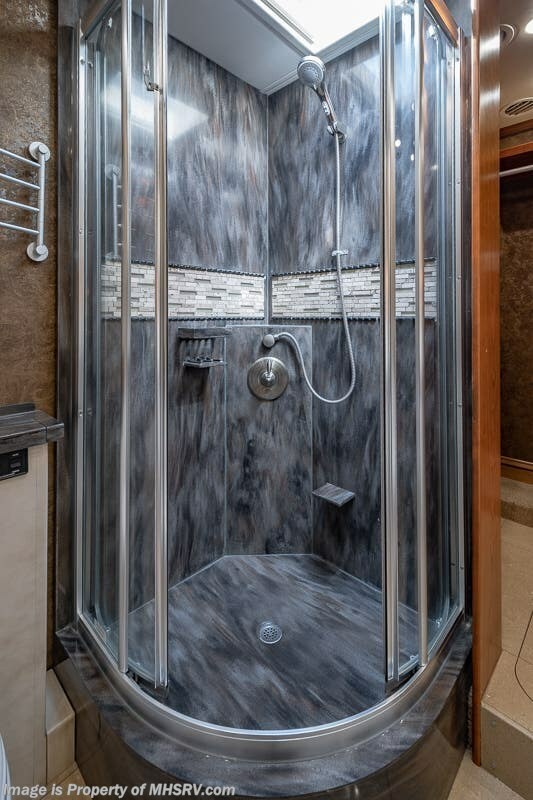 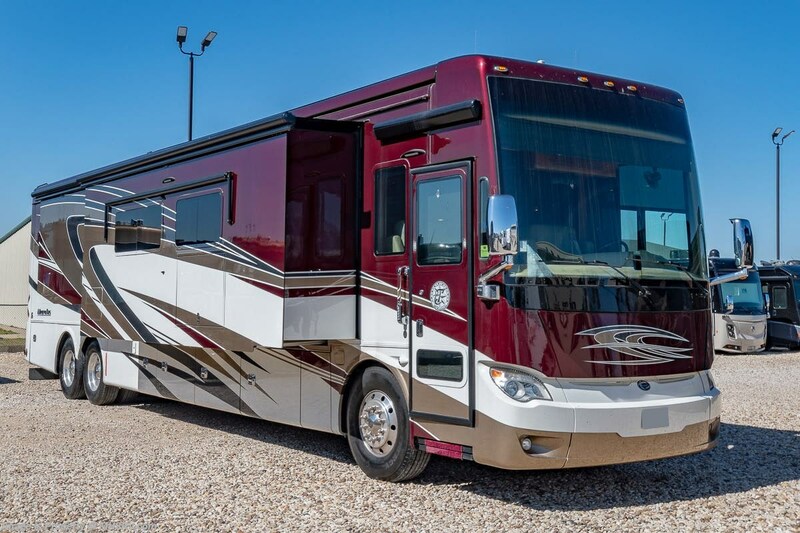 **Consignment** Used Tiffin RV for Sale- 2014 Tiffin Allegro Bus 45LP Bath & ½ with 4 slides and 13,350 miles. 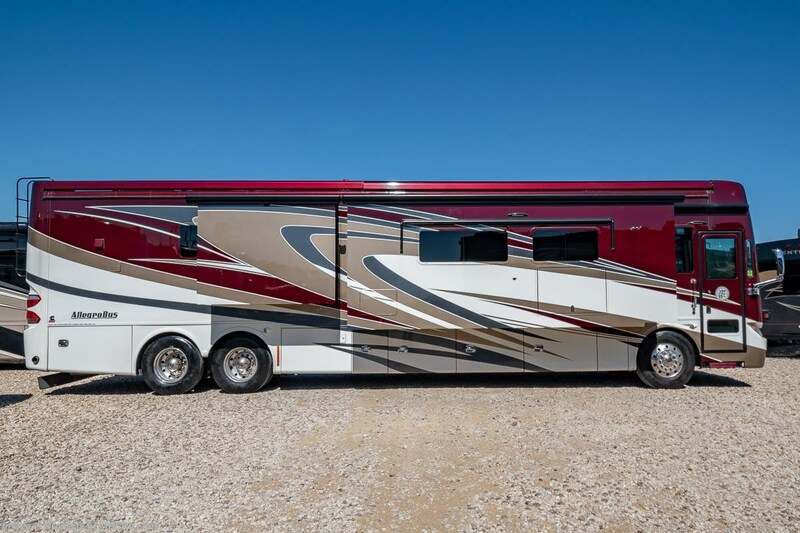 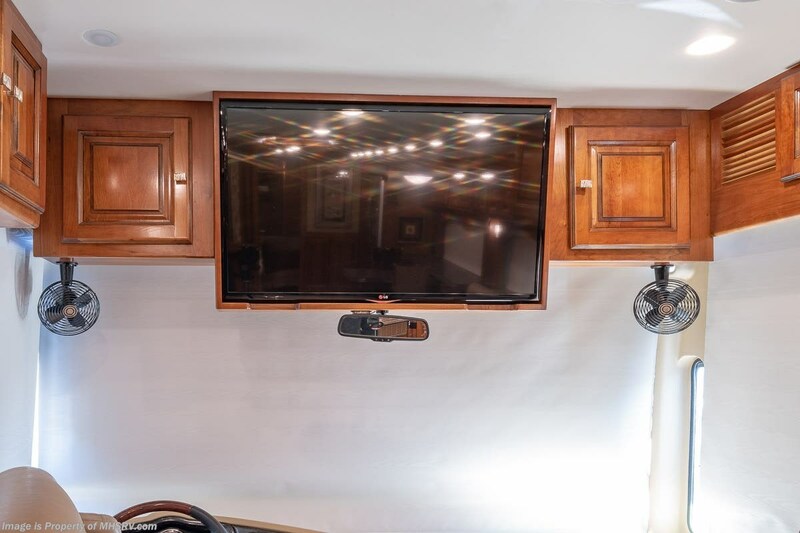 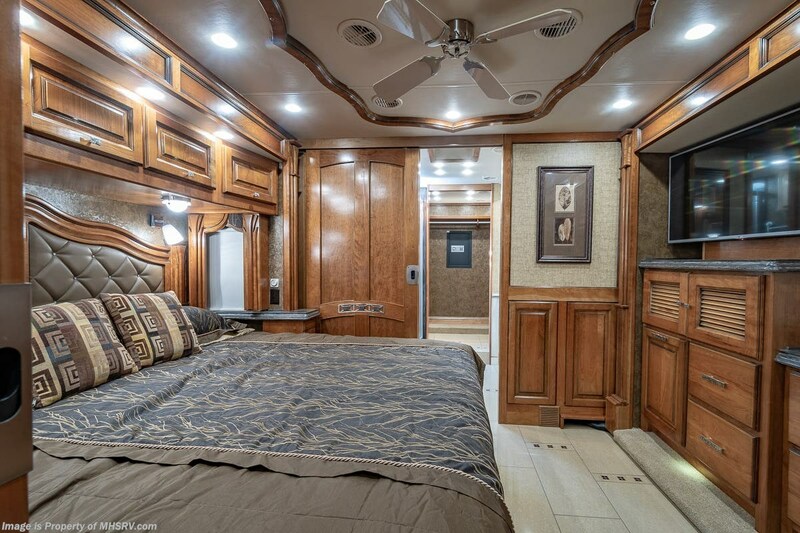 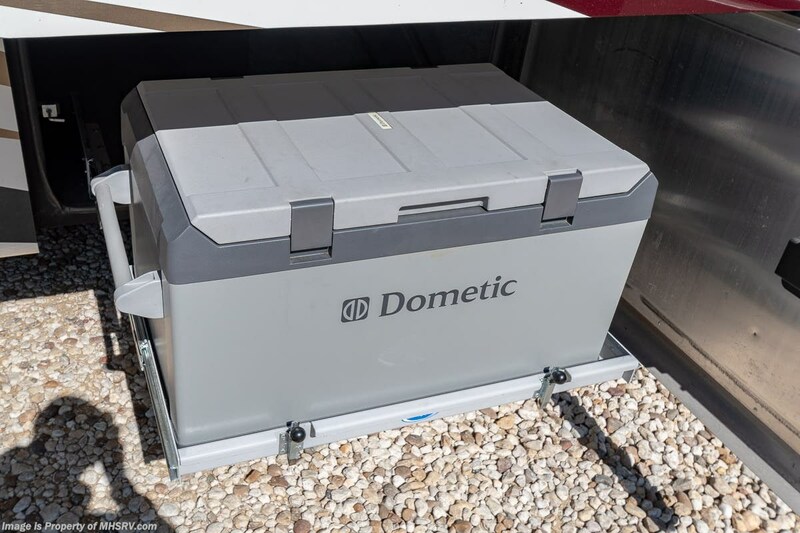 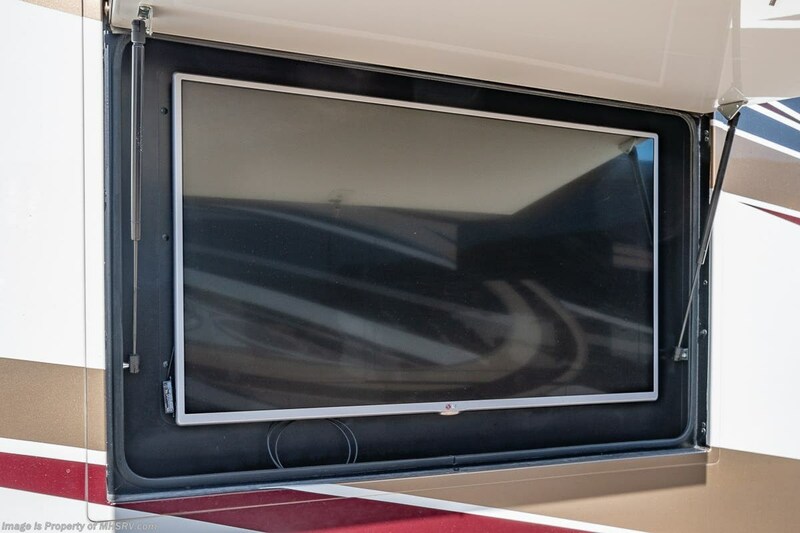 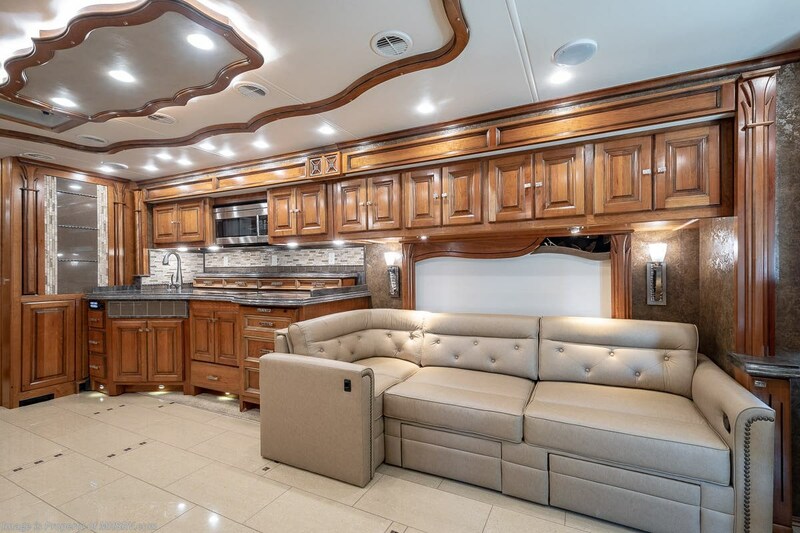 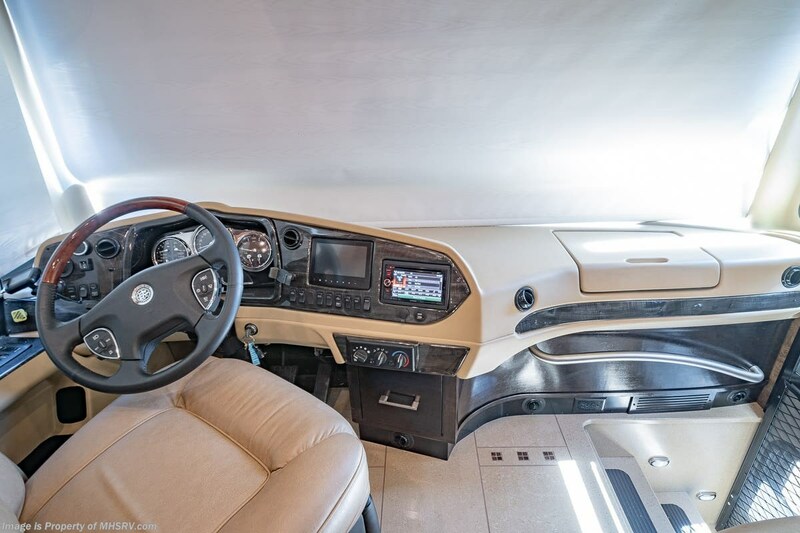 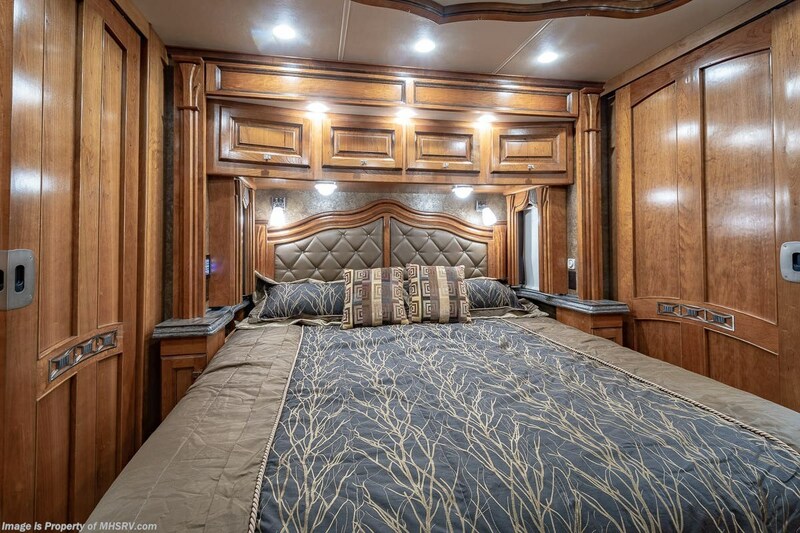 This all-electric RV is approximately 44 feet 8 inches in length and features a 450HP Cummins diesel engine, Powerglide chassis, automatic hydraulic/air leveling system, aluminum wheels, 3 camera monitoring system, 3 ducted A/Cs with heat pumps, 10KW Onan diesel generator with AGS, tilt/telescoping smart wheel, engine brake, Mobileye, keyless entry, Aqua Hot, power patio and door awnings, window awnings, pass-thru storage with side swing baggage doors, LED running lights, docking lights, black tank rinsing system, water filtration system, power water hose reel, 50 amp power cord reel, exterior shower, exterior freezer, exterior entertainment center, clear front paint mask, inverter, heated tile floors, central vacuum, dual pane windows, hardwood cabinets, power roof vent, ceiling fan, power solar/black-out shades, solid surface kitchen counter with sink covers, convection microwave, 2 burner electric flat top range, residential refrigerator, tile-accented solid surface shower with glass door, stack washer/dryer, king size sleep number bed, safe, 4 flat panel TVs and much more. 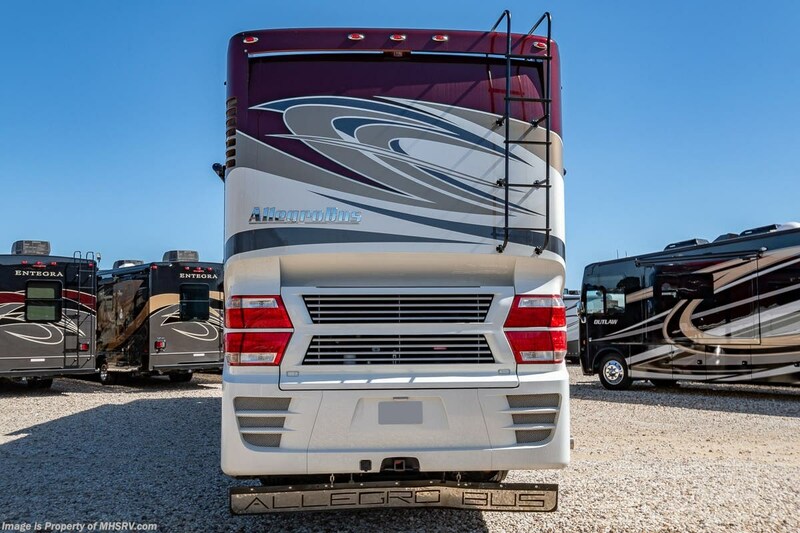 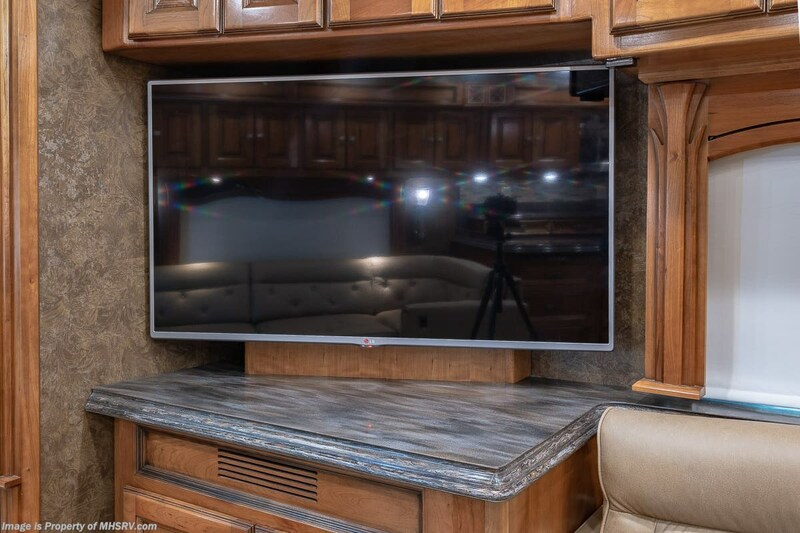 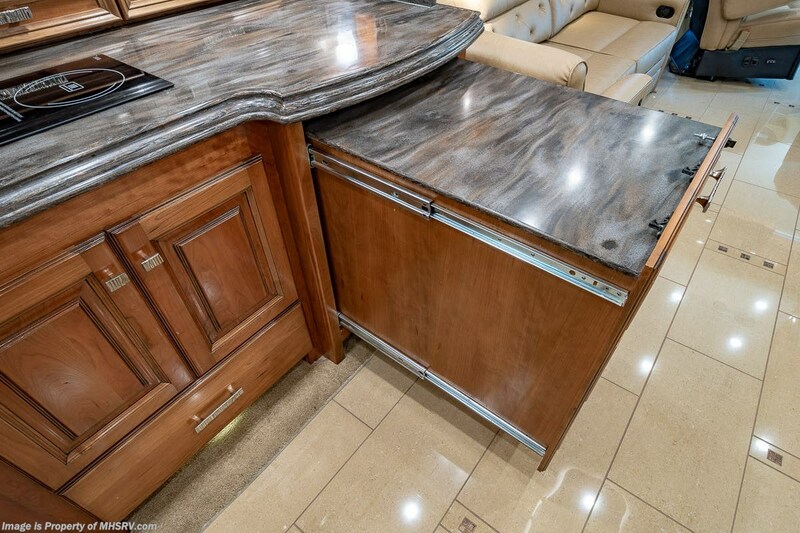 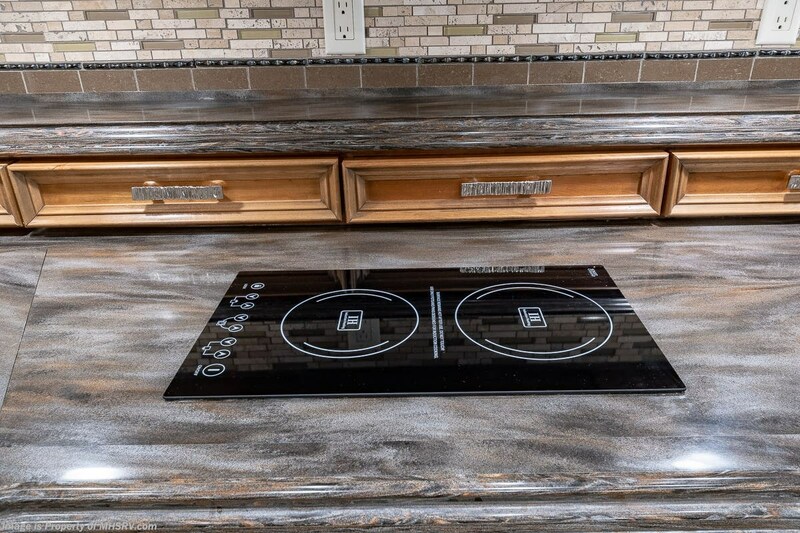 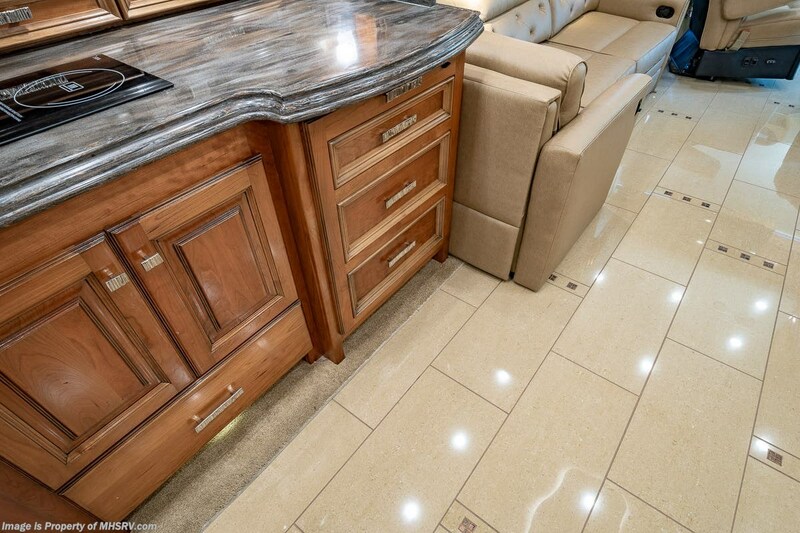 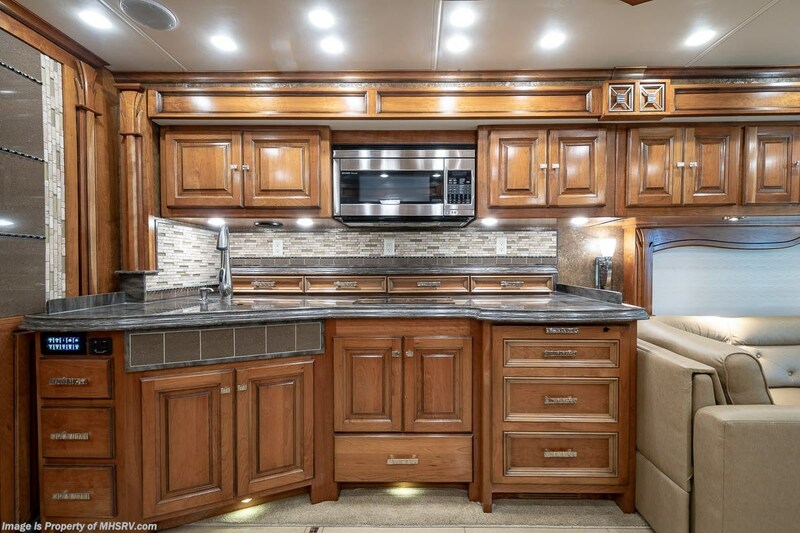 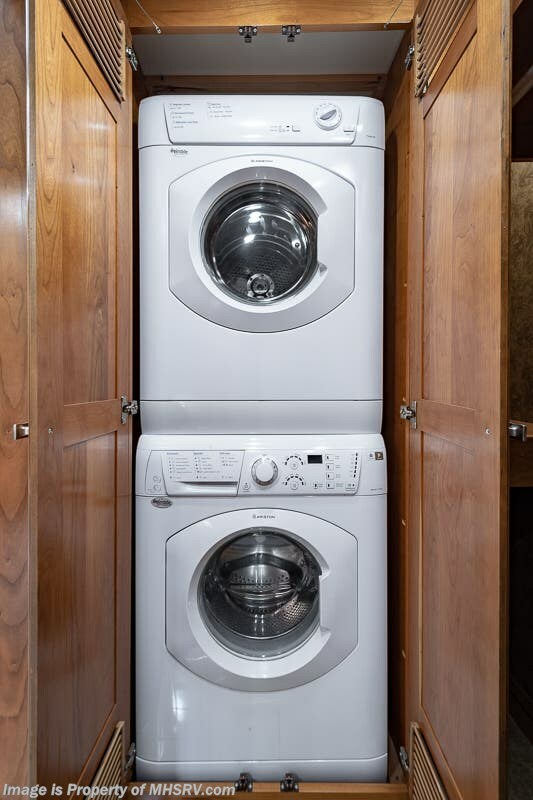 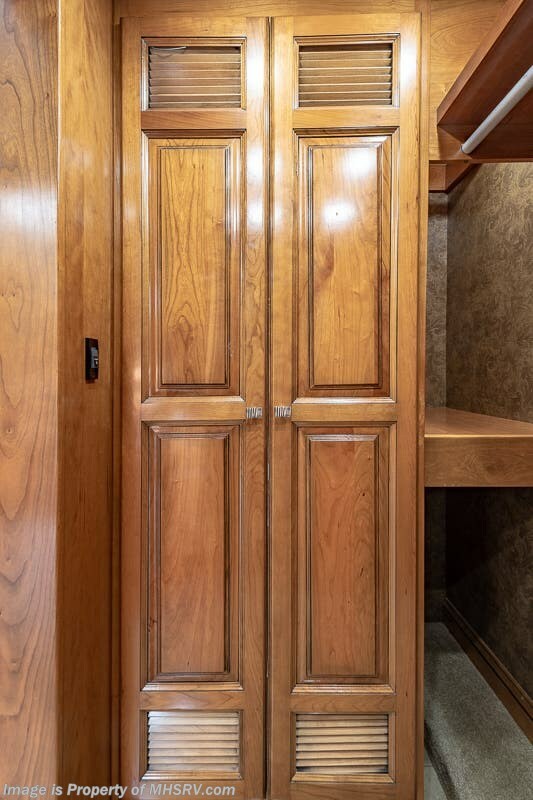 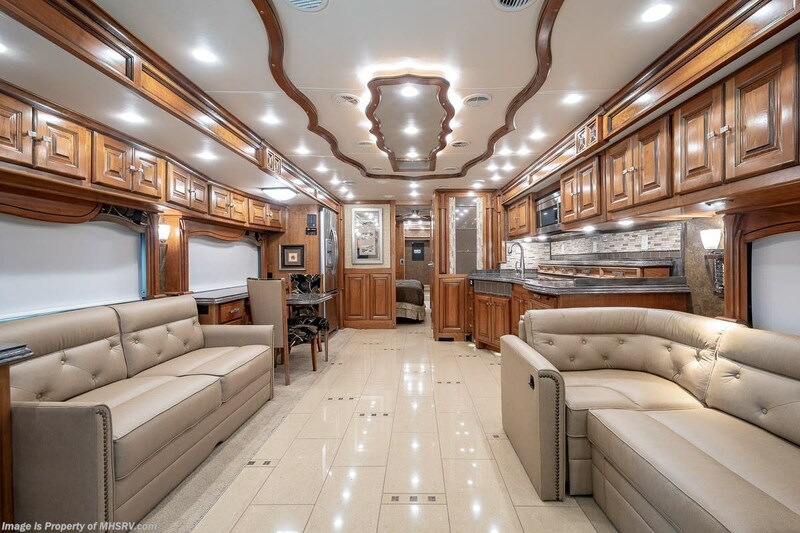 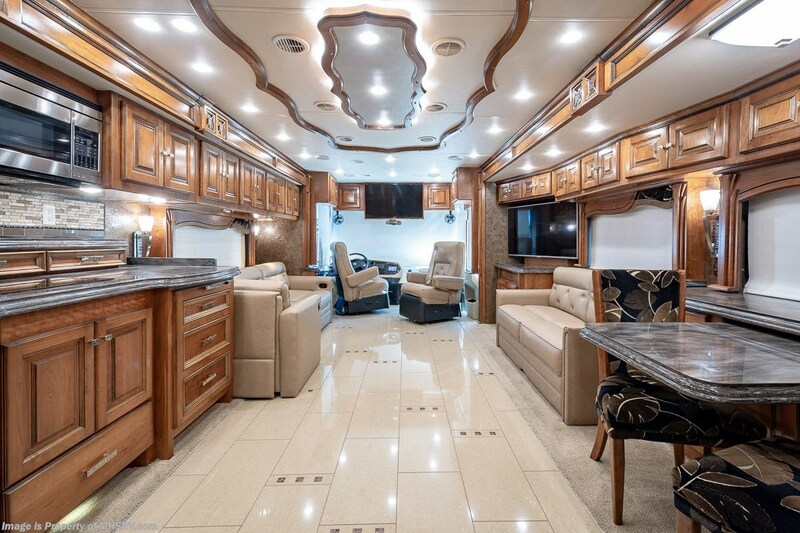 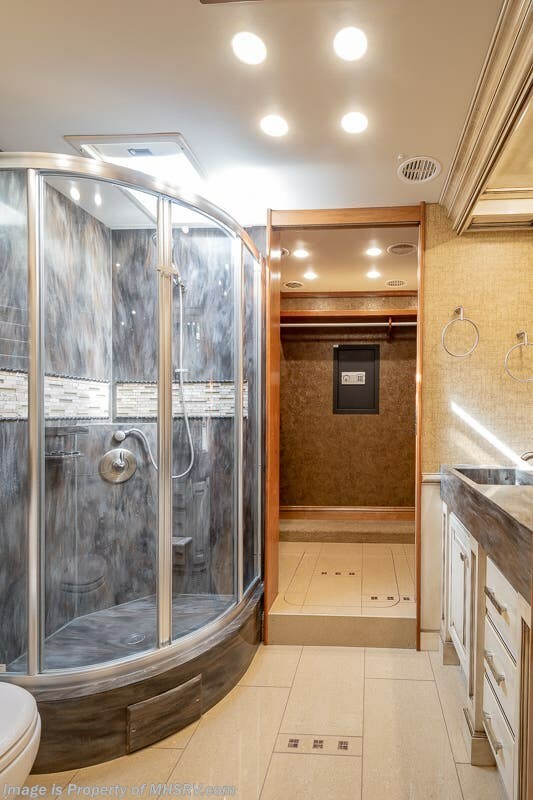 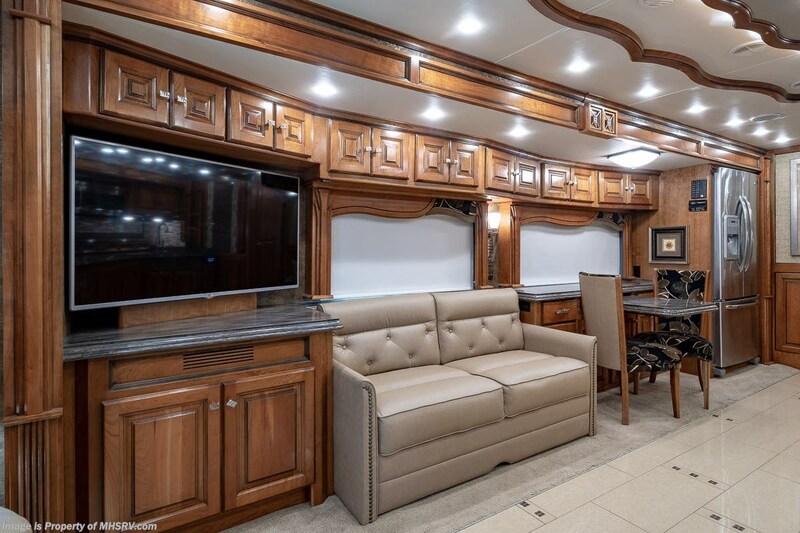 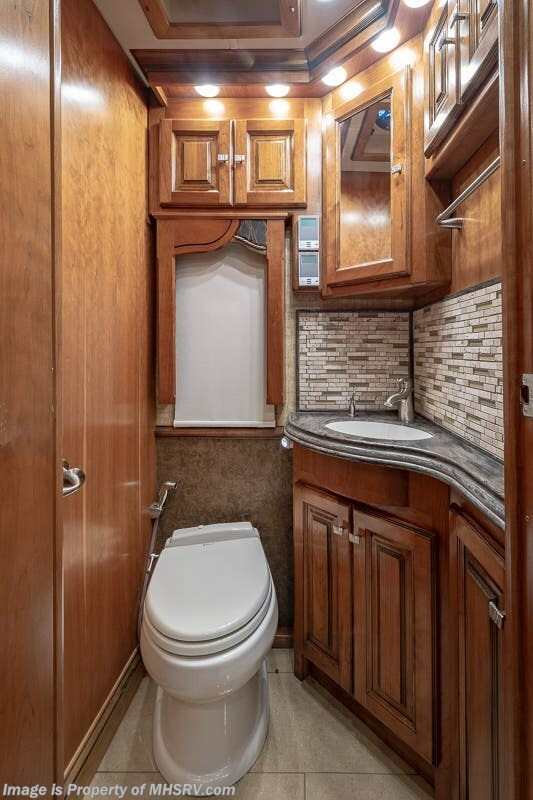 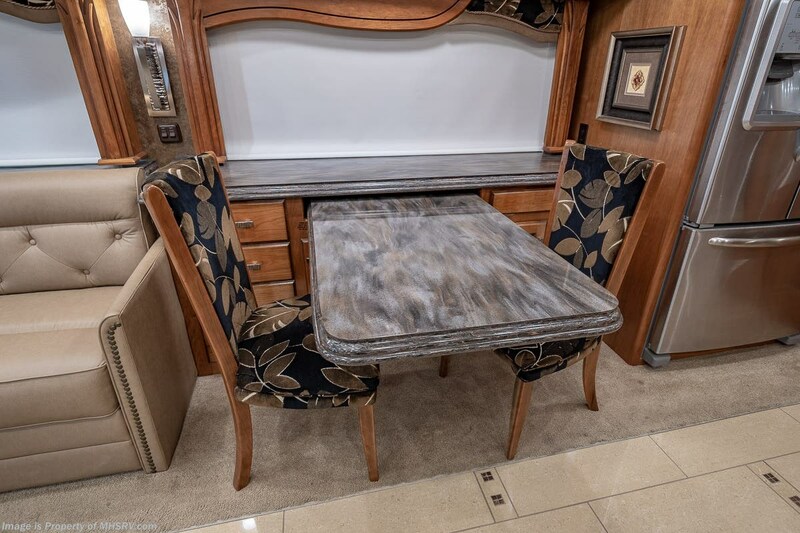 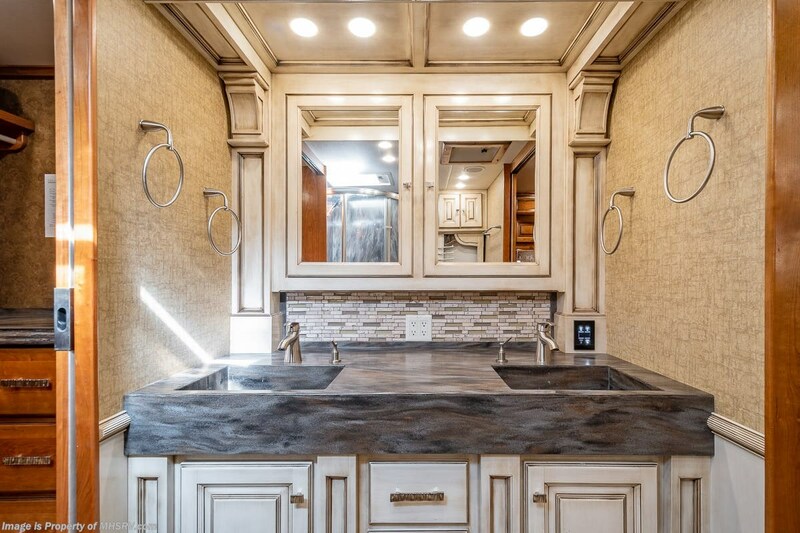 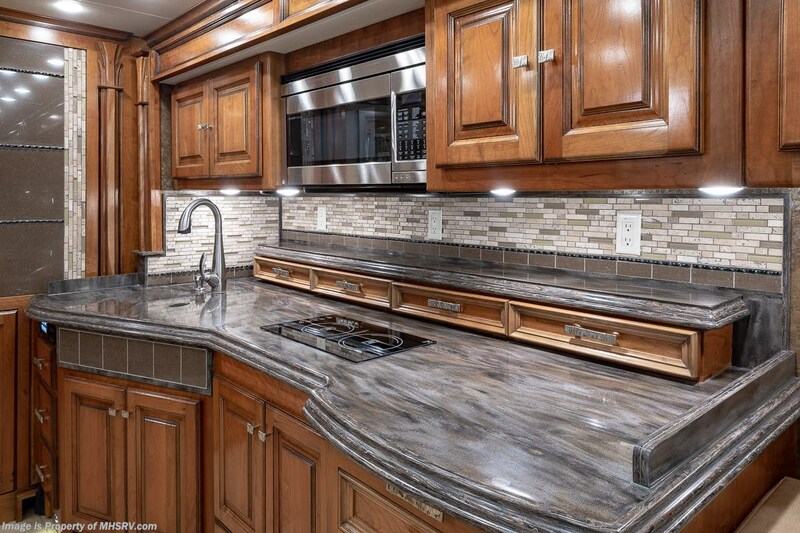 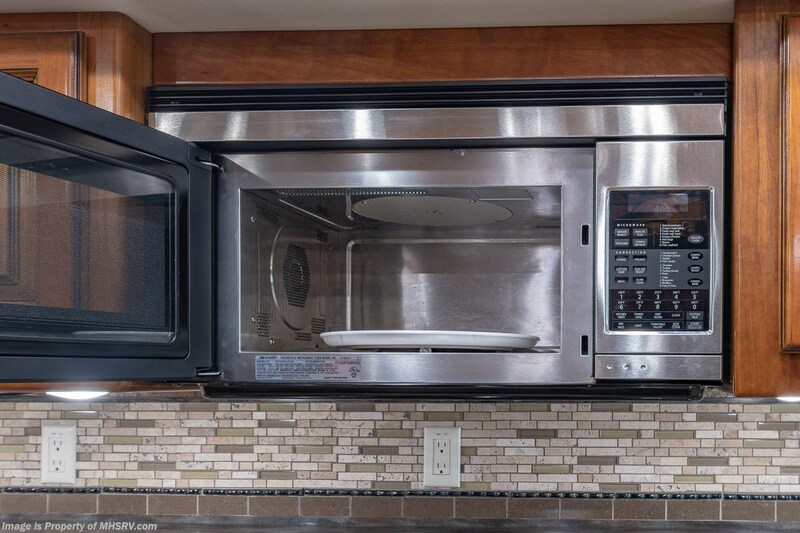 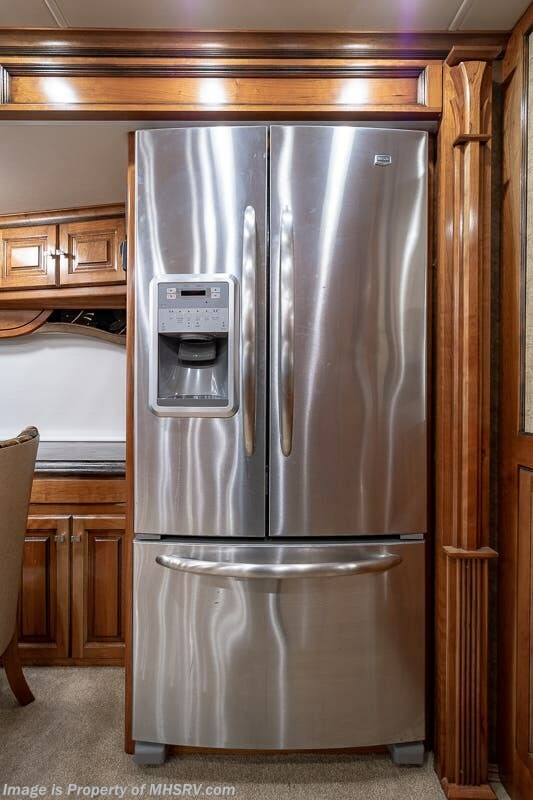 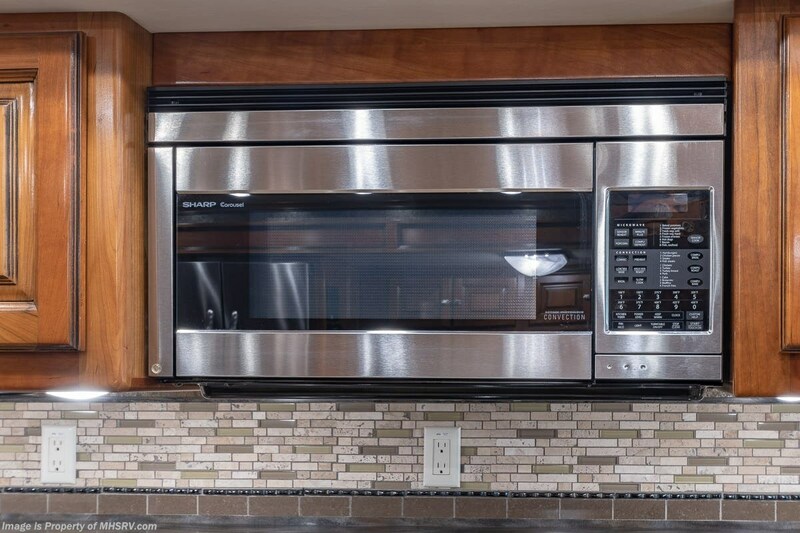 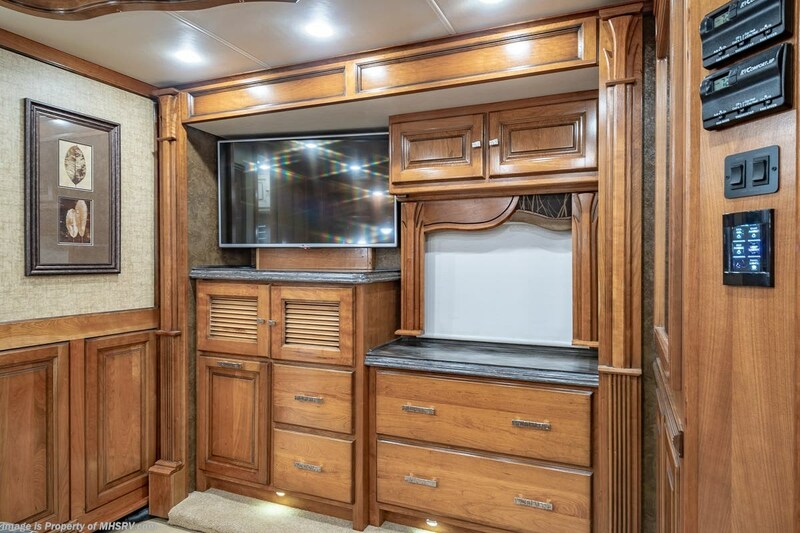 For additional information and photos please visit Motor Home Specialist at or call 800-335-6054. 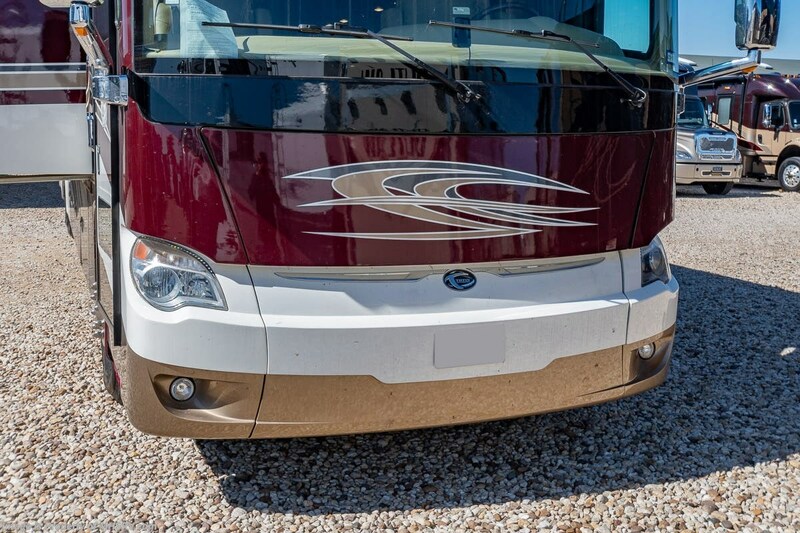 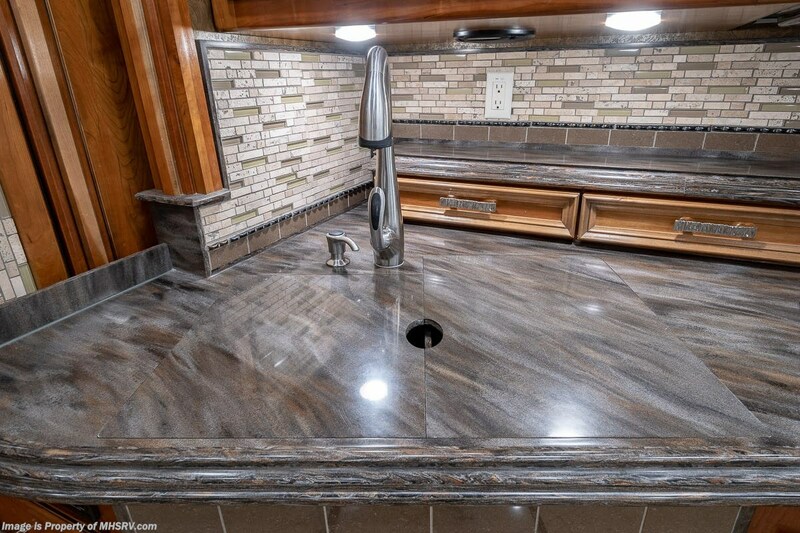 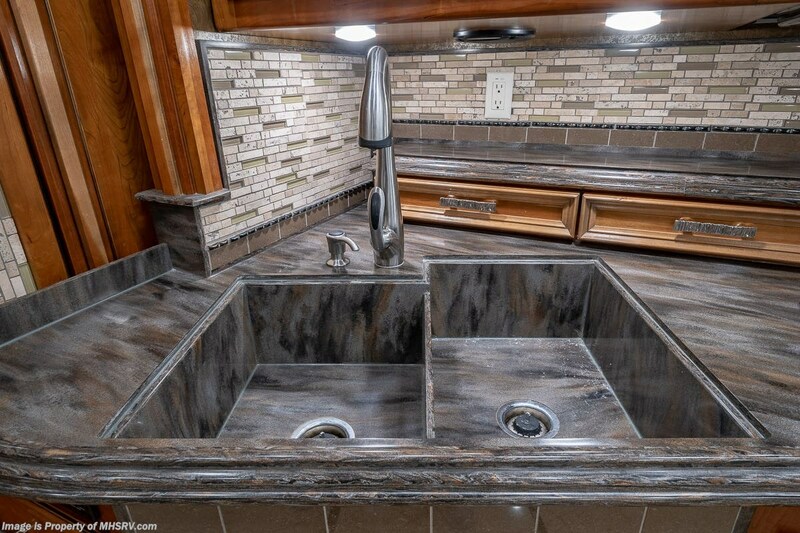 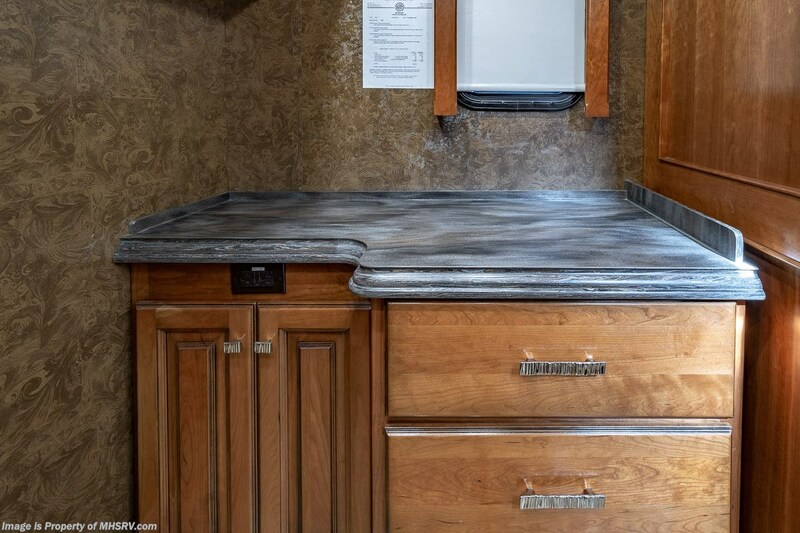 Check out Stock # 2190C - 2014 Tiffin Allegro Bus 45 LP on tiffinrvs.com!